Craving something indulgent? Try one of our many unique fudge flavours, all crafted with care right here onsite. We use full-cream NZ dairy milk and real ingredients to achieve unforgettable flavour sensations. Luxurious, decadent, addictive… NZ Fudge Farm fudge is in a class of it’s own! 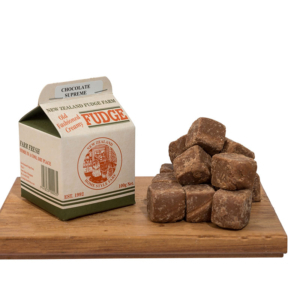 Creamy, crumbly, melt in your mouth: NZ Fudge Farm! 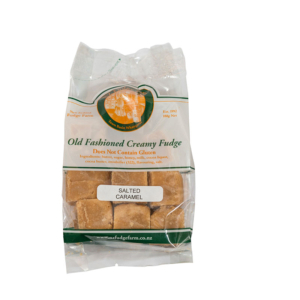 Bring back memories of your childhood with our award-winning farm-fresh fudge. Our mouth-watering fudge is made the old-fashioned way, using fresh local ingredients and a closely guarded family recipe! You won’t find any preservatives or artificial ingredients in our products; we simply take the time to get our flavours just right. With each batch taking 6 hours from start to finish, our fudge is the crumbly, creamy, melt-in-your-mouth experience you’ve been waiting for. 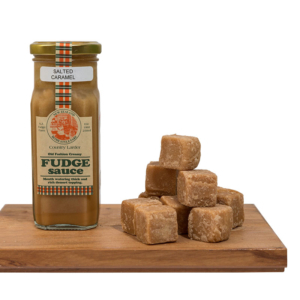 Indulge yourself with the New Zealand Fudge Farm – desserts, sweets, café and giftshop. 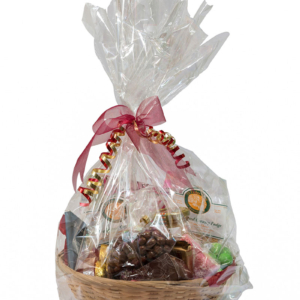 Whether you’re treating yourself or a deserving friend, colleague or family member, the NZ Fudge Farm range of gift boxes and gift baskets is sure to delight. Choose from our great value range of pre-selected gift boxes, or tailor-make a gift basket to suit your occasion or taste! We’re happy to help. Our waterfront dessert café offers comfortable outdoor seating at one of Whangarei’s most vibrant and scenic locations, on the concourse of the Whangarei marina. We serve Allpress espresso and refreshing cool drinks alongside a range of decadent treats: sit back and people-watch or simply relax and take in the view at the Fudge Farm Café.